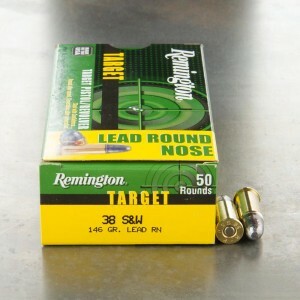 38 S&W ammo is a common round developed in the late 1870's and still used by revolver shooters today. 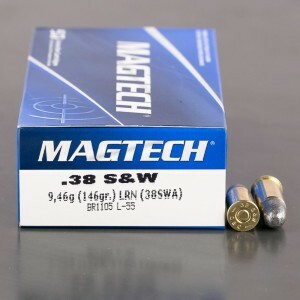 While 38 Smith and Wesson is still in use, no common commercial firearms manufacturers are producing revolvers in this caliber and ammunition is very rare as well. 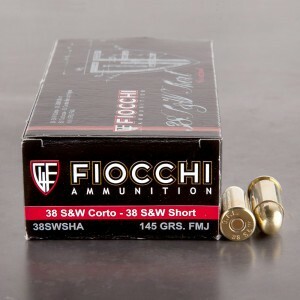 Look for 38 S&W ammo for sale from Fiocchi when we can get it as the well-known company still products a 145-grain lead nose bullet cartridge that is available to the American civilian market. 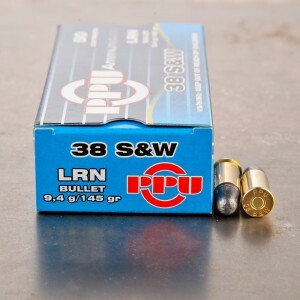 Please note: 38 S&W ammo is not the same cartridge as 38 Smith and Wesson Special and cannot be used interchangeably with that cartridge. Great Service. 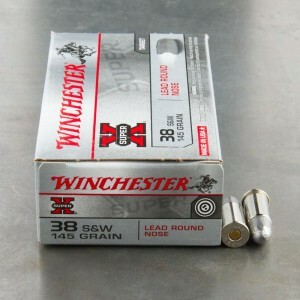 I finally found a place to buy .38 S&W at a fair price. My Colt Police Positive just loves em. got it timely fashion. loaded my old over johnson. ready to defend.